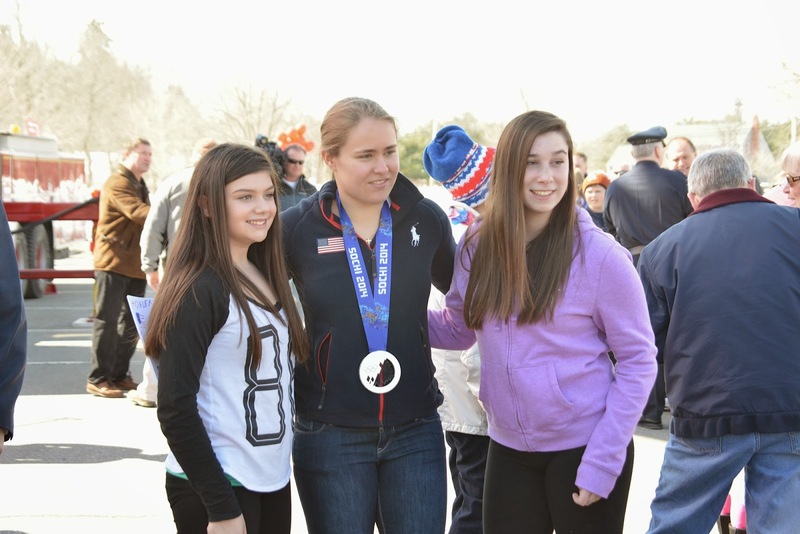 On Saturday, March 8th I had the honor to attend the Welcome Home Celebration for US Women’s hockey player and North Reading resident Alex Carpenter. 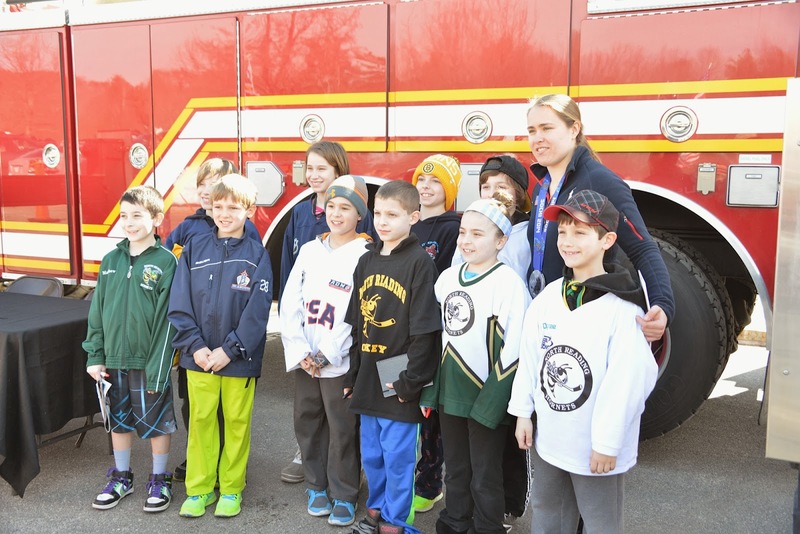 During the 2014 Winter Olympics in Sochi, Russia, Alex joined her team in the rink against fierce competition and performed admirably while demonstrating teamwork, sportsmanship, and resolution. With a powerful left handed shot, Alex scored goals during both the semifinals against Sweden, and the finals against Canada, ultimately winning the silver medal for the United States. 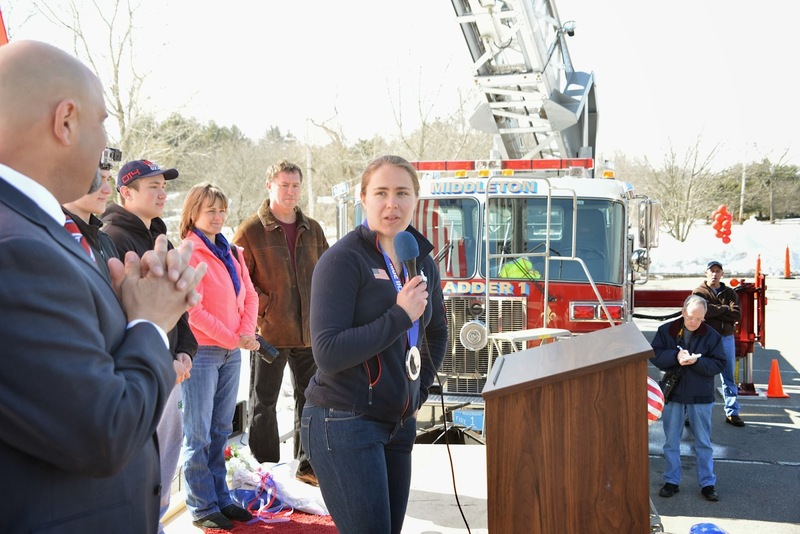 Hundreds of people came out in support of Alex during Saturday’s Welcome Home Celebration, which featured two ladder trucks from the North Reading and Middleton fire departments, the North Reading Police Department, and local officials. I also presented an official House of Representatives Resolution that Representative Brad Jones and I sponsored recognizing Alex for her achievements while serving as an inspiration to us all. 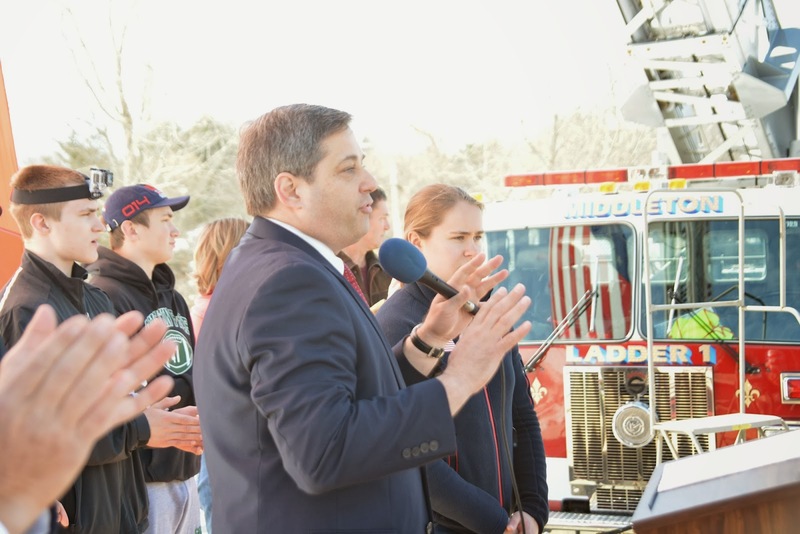 Posted below are several photos from the day’s event, some of which were taken by North Reading Selectman Bob Mauceri.